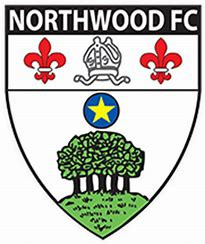 Northwood have fallen to narrow defeat in their last two matches against promotion chasing Westfield and runaway leaders Hayes & Yeading United, and sit eleven points off fifth place. But manager Scott Dash has not given up on a run towards the playoffs, and has strengthened prior to tomorrow's trip to Tooting & Mitcham United with two new signings- hoping that his side can recapture the form they showed when defeating Ware and Waltham Abbey. In comes former Arsenal, Derby County, Biggleswade and Slough Town attacker Alex Witham. Alex is joined by Aylesbury United midfielder Kerran Lataille- and you can read about both signings here.  Bostik Matchday: Cray go One Step Beyond Cray Wanderers took on Guernsey. It was a Valentine's Day special- and there was lots to love- from both sides, and their fans. Even more new arrivals at Hertford Town  Four more head to Hertingfordbury Park...that's NINETEEN this week!